Since I can't send ice cream in the mail (sounds sticky!) 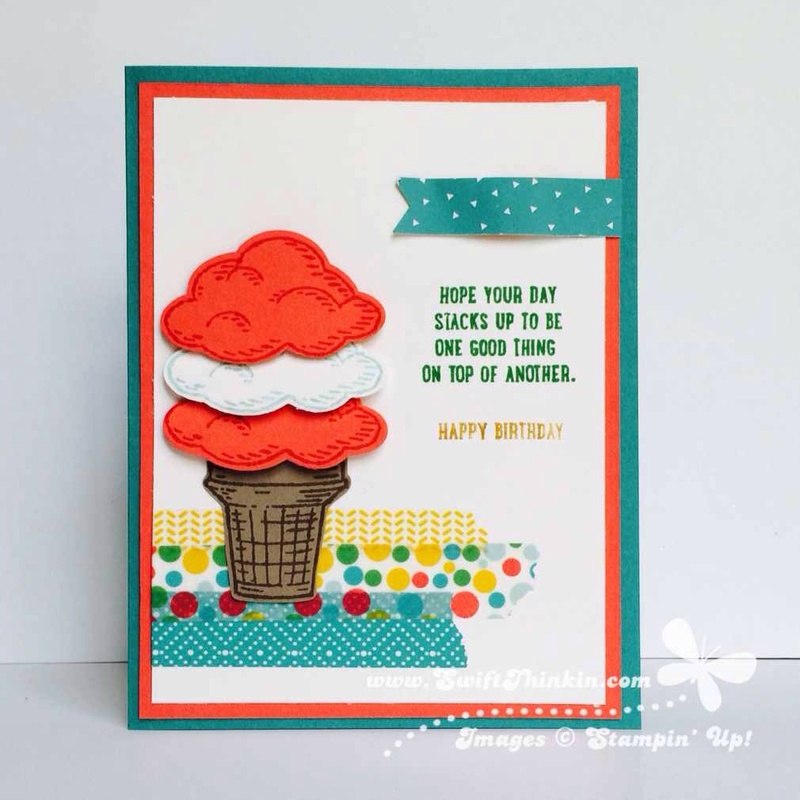 I'll settle for this cute card instead :) It is made using the new Sprinkles of Life stamp set and matching punch. I am loving this set- and I haven't even been able to get it yet (p.s. thanks Mom for letting me use yours!). And do you see that fun washi tape- that is from the Cherry on Top collection. It is perfect for birthdays- or even just bright, cheery summer fun! Check out how I attached the ice cream scoops to the card. I added a dimensional at the bottom and attached the tops down flat. That gave each 'scoop' the nice full feeling of being plopped on the one before. Give it a try!